It is a cold and windy fall day today. The high is expected to be 48 degrees. It's a good day to stay inside and I would if I had any food in the fridge. This time of year the weather fluctuates between warm and cold, sun and rain on a daily if not hourly basis. 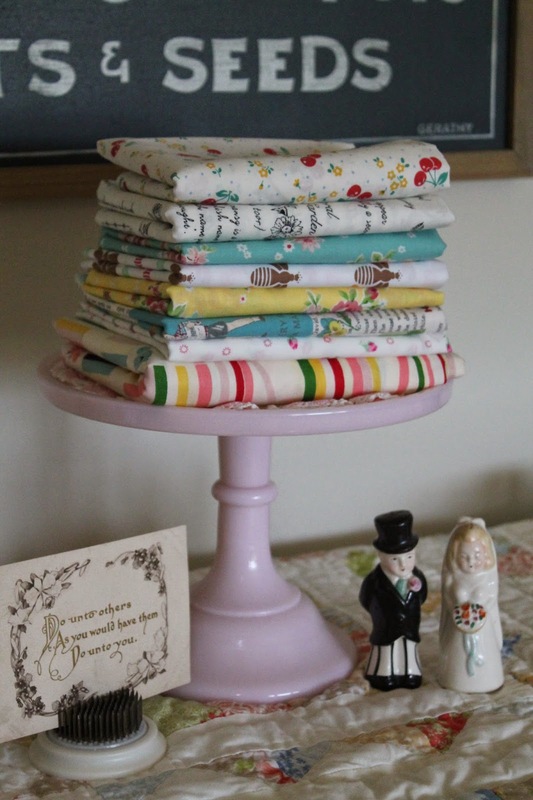 I ventured out yesterday to Pink Castle Fabrics to pick up a book I had ordered. Of course I came home with this pretty bundle of fabric. I may leave them on the pink pedestal for awhile because for me, they are a yummy treat! I took a break in my custom quilting orders to make the sweet patchwork quilt from a Tiffany bundle I had purchased this summer at Pink Castle. I really love it. One of my favorite things about it is that black and white polka dot fabric. It just really makes everything pop! 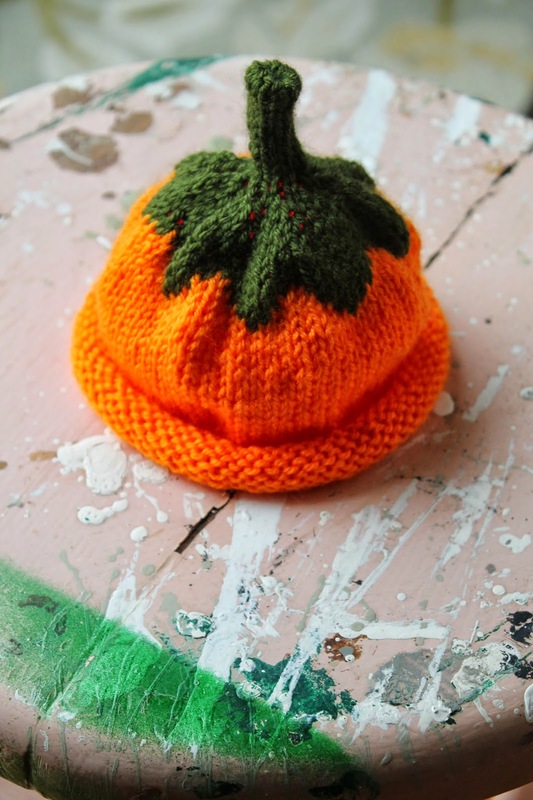 In the evenings I've knit up a little hat for a new little cutie that was just born. 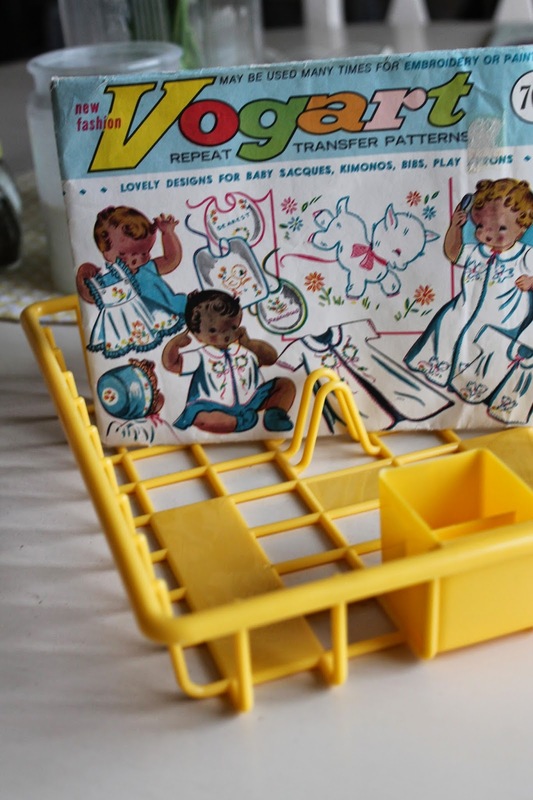 A bit of thrifting led me to this vintage child's dish rack and pretty transfers. With the blooming of my Christmas cactus I'm reminded of the season that is upon us. 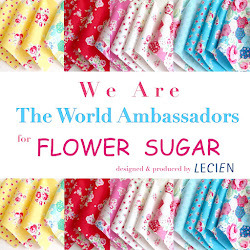 Time to start dreaming of gift making. Have a blessed day! The quilt is delightful, I love the black and white polka dots its stunning and the pumpkin hat is beautiful perfect for the season. Oh the joys of simple patchwork. It's just lovely. You have been busy. 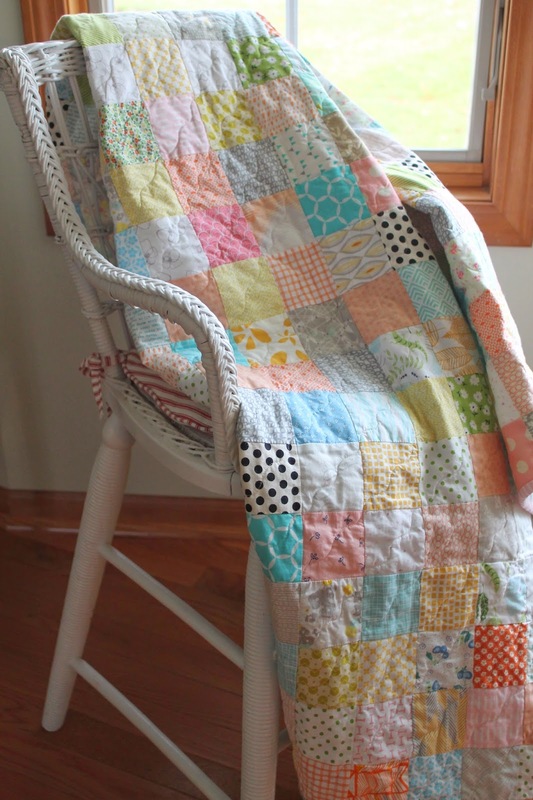 Sweet quilt. 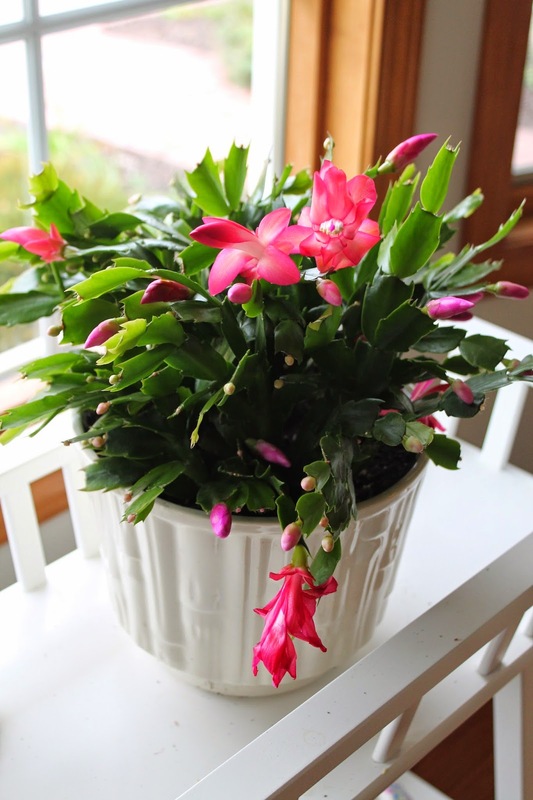 Your Christmas cactus is beautiful. My Mom loved those. Cooler here too, but none of the much needed rain. Love all the pretties you started my day with. Enjoy your day. Oh almost forgot...I've been wanting to change my blog design. Who did yours, or did you do it yourself. I am not having any luck changing mine myself. Thanks Renee. What pretty pictures and it must be a bit chilly there if your Christmas cactus is blooming already. Enjoy your weekend. I am sure you will be working on something pretty.